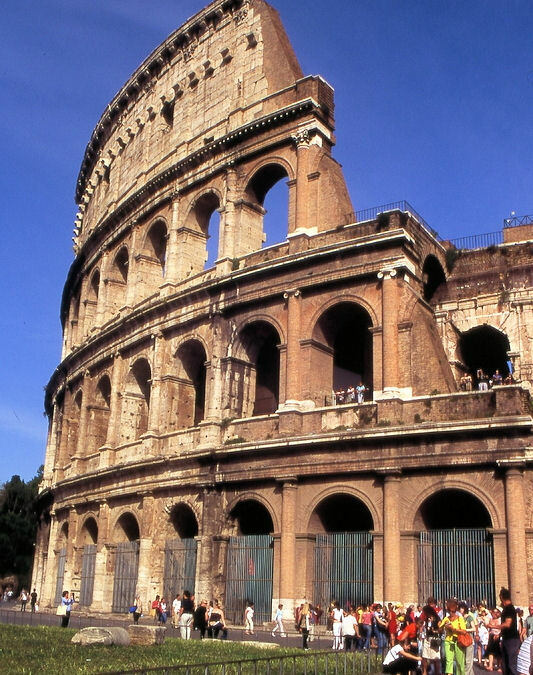 With only one day in Rome, one obviously has to select carefully among the city's endless attractions. We will cover the major attractions and allow you some free time to explore your interests. St.Peter's Square - Created by Bernini, it is considered to be one of the loveliest squares in the world. St.Peter's Basilica - This is Christendom's most magnificent church, which was begun in 1452 on the site and is where St.Peter was buried. Entrance Fees are NOT included in this tour. Please note: Tourists headed to the Vatican's museums and shops now need cash for tickets and souvenirs. Credit and debit cards no longer are accepted. The Vatican Museums - The Museums contain an incredible collection of art and treasures collected by the popes. The Vatican museums are NOT included this tour. Book the Enchanted Imperial Rome tour to include a tour to the Vatican. Sistine Chapel - It took Michelangelo four years at the height of the Renaissance to paint the ceiling's wonderful frescos of the Creation. Entrance to the Sistine Chapel is not included on this tour. The Sistine Chapel is not included in this tour Book the Enchanted Imperial Rome tour to include entrance to the Sistine Chapel.